Ken Bradley was born in 1944. He has a long standing interest in many aspects of militaria but his particular passion is reserved for the English and Spanish Civil Wars. A member of the Sealed Knot, he rose to the dizzy heights of becoming Colonel of the Earl of Stamford's Regiment of Foot (Parliamentary)! 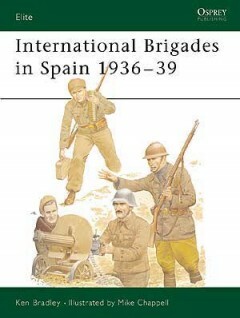 He has also researched in depth the International Brigades invoved in the Spanish Civil War, and has visited almost every one of the battlesites.